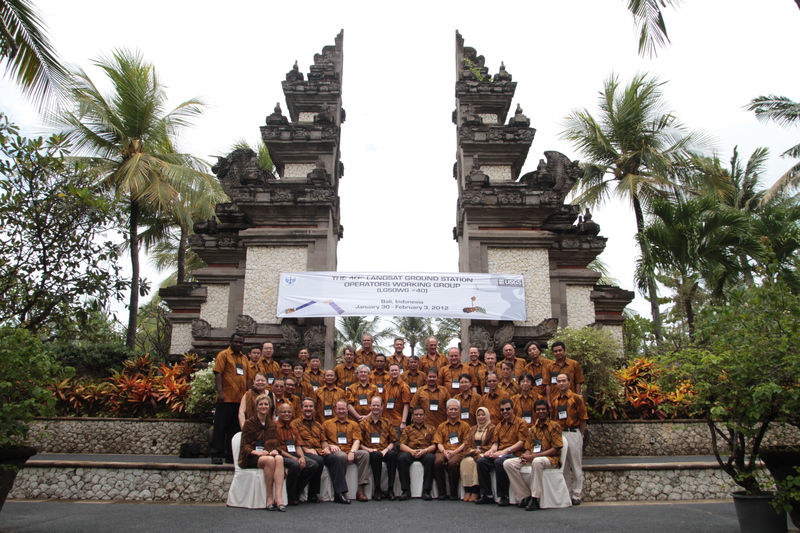 This year’s Landsat Ground Station Operators Working Group (LGSOWG#40) meeting was hosted by Indonesia’s National Institute of Aeronautics and Space (LAPAN) in Bali, Indonesia from January 30–February 3, 2012. Participants from 17 countries, including members of the USGS Landsat and Landsat Data Continuity Mission (LDCM) Projects, represented 23 U.S. and international ground stations and discussed a wide range of ground station management topics. The USGS presented material on the Land Satellites Data System (LSDS) and future missions, including Landsat 9. Landsat Operations presentations included Landsat 5 and Landsat 7 mission statuses, Global Land Survey status, and the Landsat Global Archive Consolidation initiative. Landsat Operations also presented a detailed status on the Landsat 5 mission and imaging recovery steps. LDCM presentations included project and ground system development status including plans and time lines for ground system processing software availability and upcoming International Cooperator ground system interface testing. A Landsat Science Team update was also presented. In addition, attendees participated in four special science collaboration topics including: (1) Carbon Monitoring, (2) Web Enabled Landsat Data (WELD), (3) Essential Climate Variables (ECVs) and Climate Data Records (CDRs), and (4) the Long Term Acquisition Plan (LTAP). Each International Cooperator briefed the group on the status of their current ground systems including electronic data delivery capabilities and challenges, presented their future satellite mission(s), and discussed current status of their Landsat Global Archive Consolidation activities.